A Splendid Messy Life: Julep Valentine's Day Box Review + Get your own box free! Julep Valentine's Day Box Review + Get your own box free! Julep Maven is a monthly beauty/nail polish subscription box. I first tried out Julep nail polish on New Years Eve when I was looking for something glittery, and I found this one at Sephora. I loved it! 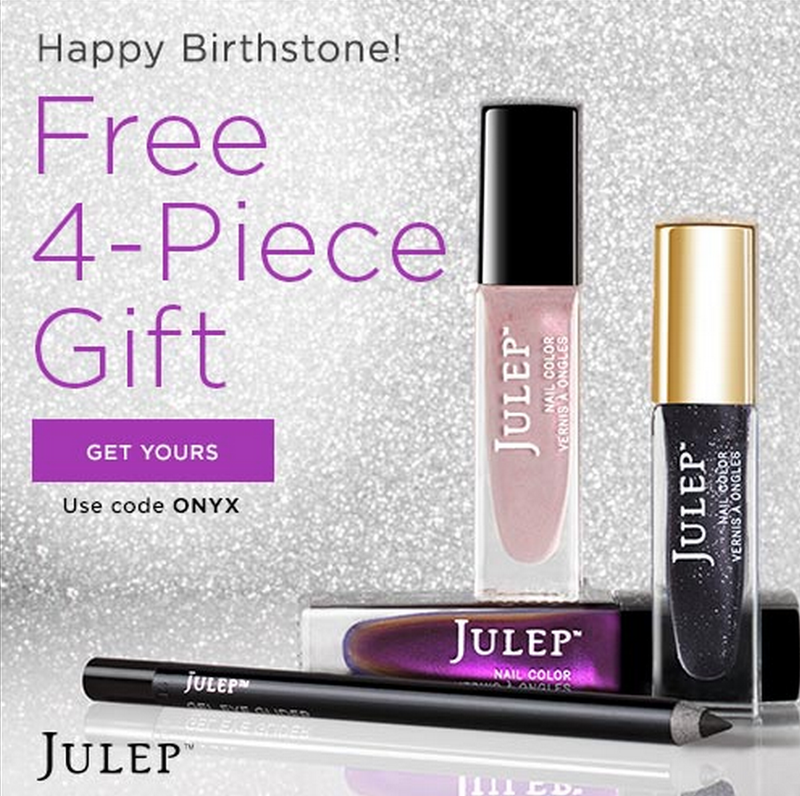 When you first join Julep Maven, you can get your first box free. You just need to pay $2.99 for shipping. So, when I saw a picture of their Valentine's Day welcome box, I was super excited to join and get these goodies to wear for the week. My Valentine's Day Welcome Box included 3 polishes (Fifi, Myriam, and Heartleigh) as well as 1 beauty product (lip gloss in Charming). The lip gloss is exactly the type of colour I love, and Heartleigh is the perfect nail polish for Valentine's Day. Just something super fun and girly. I tried it out yesterday and showed it off on Instagram. Each of the nail polishes have a value of $14 and the lip gloss is valued at $20, so I can't believe I got $62 worth of goodies for $2.99! The only catch is now I'm signed up for a $25/month subscription. Since I'm trying to save more money this year, I'll probably call and cancel my subscription before the next month is charged, but I am so happy with my welcome box and would really encourage anyone to try it out. Plus shipping was wicked fast! The Valentine's Box offer is over, but you can sign up for the February Birthstone Welcome Box instead. See the pic below for a peek of what you'll get in that box. Just make sure you use the code ONYX when checking out. Find out more information about the February Birthstone Welcome Box here or there are a couple of other welcome box options here. There is also a Snow Day Winter Welcome Box or a Red Carpet Welcome Box.